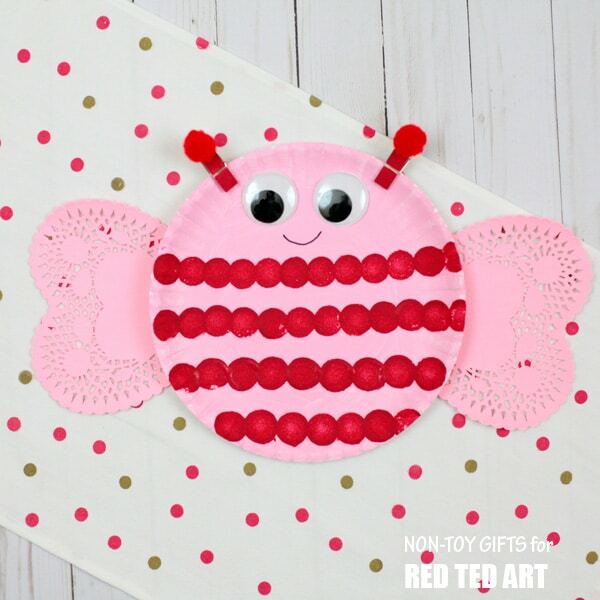 Oh it is time for a gorgeous Paper Plate Valentine’s Craft – make this super cute paper plate love bug craft or “Bee Mine” Paper Plate Bee (it kind of works as either, don’t you think?!). 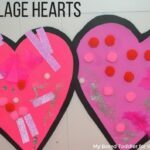 We adore Valentine’s Day Crafts for Preschoolers – such a great and lovely age group to craft with. 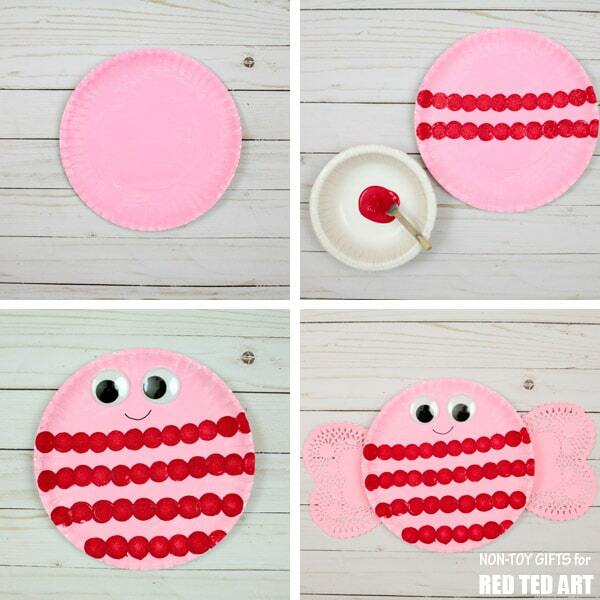 This darling little be can also be made as an adorable Toddler Fingerprint Craft for Valentines. Substitute brushes with fingers and you are on your way. 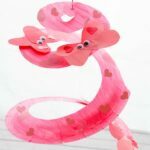 Today’s great Bee Mine Paper Plate Valentine’s Idea is by Stef from Non Toy Gifts as part of our 31 Days of Love series! 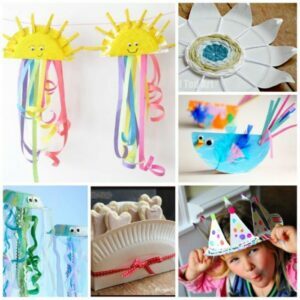 Paper Plate Crafts are just too adorable and Stef is FABULOUS at gorgeous Paper Plate Crafts for kids! Over to Stef. Hi! 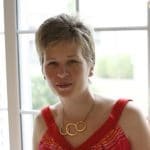 My name is Stef and I blog at Non-Toy Gifts where I share crafts and activities for kids. 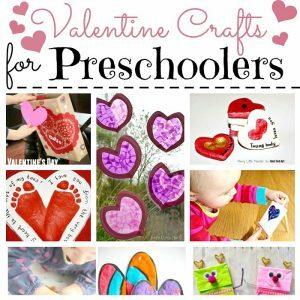 I have a preschooler and a kindergartner to help me with the crafts so I keep them easy and fun. 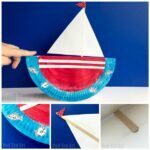 Feel free to check out my collection of crafts. We will make a paper plate love bug together. 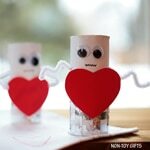 There is no rule about how a love bug should look like, it can be silly or sweet, round or square. It can be anything as long as the result is LOVEly. 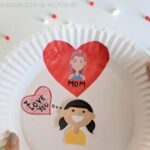 We will work with a paper plate, paint it and pair it with heart shape doilies. 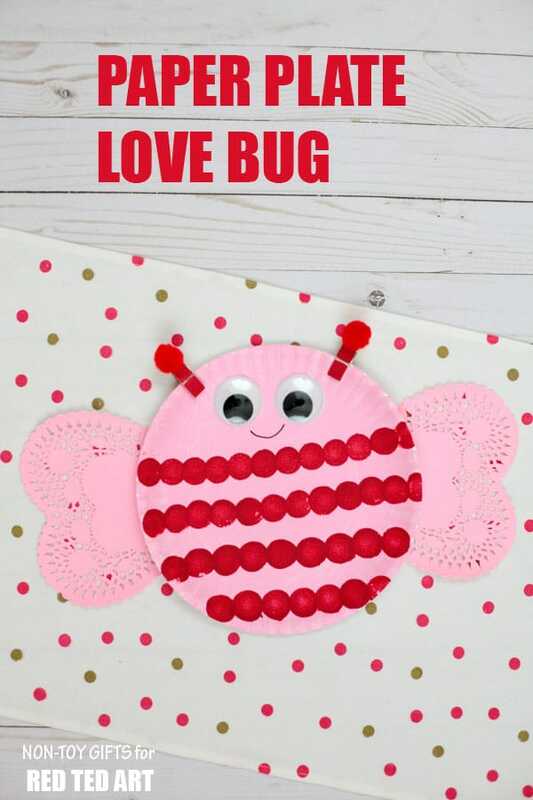 Our love bug sure looks adorable and it’s really easy to make. 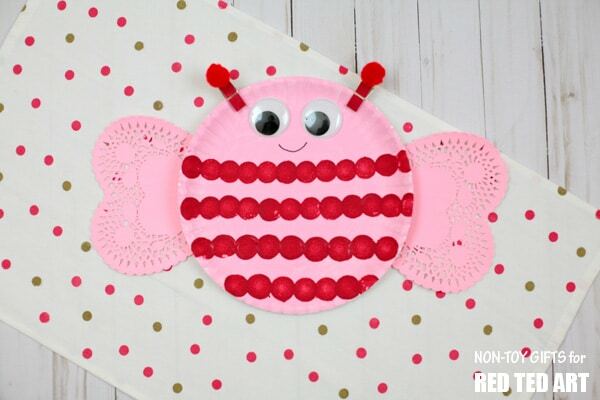 Option – you could make the dots with finger prints making this an extra adorable toddler keepsake craft! Start by painting the paper plate pink. Use a big paintbrush to finish the job faster. My boys love painting with paint sponges, too. It’s not only quick but also fun. While waiting for the paper plate to dry completely, you can go ahead and paint one side of the two wooden clothespins red. Note: the clothespins make great addition to any fine motor skills activities you may currently be working on! 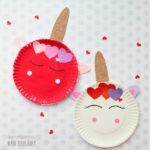 Use a round paint brush to make red stripes on the paper plate. Or as mentioned, you can turn this into a fingerprint keepsake craft by using your fingers! Leave the top pink as this is where the eyes and mouth will go. 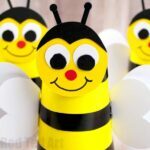 Glue the two googly eyes and draw a smile with a black marker, right below the eyes. 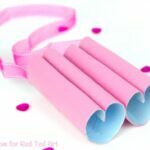 It is time to put the heart shape doilies to good use and turn them into adorable heart wings for our love bug. Glue the doilies at the back of the paper plate. 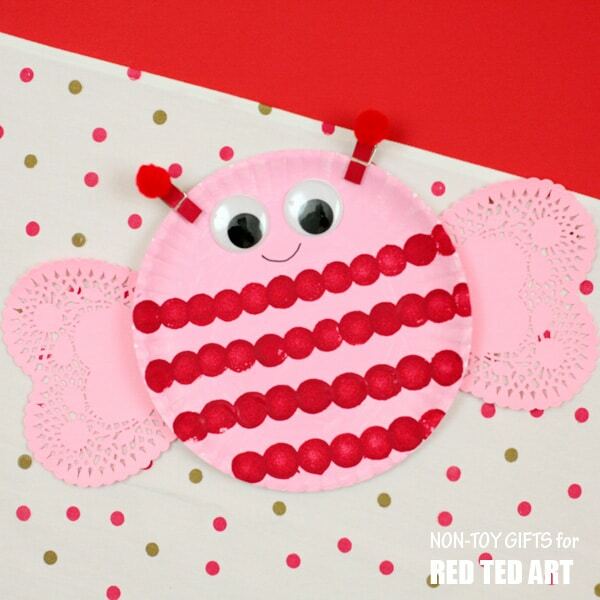 Last step is to make the love bug’s antennae from the red painted wooden clothespins and the red pom poms. Glue the pom poms at the top of the clothespins. One pom pom on each clothespin. 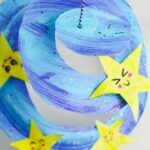 Follow Non-Toy Gifts on Facebook, Pinterest and Instagram for more easy craft ideas!